A prosperous business man and prominent citizen of Greenville, James F. Johnston is now rendering appreciated service as circuit clerk of Bond county, and is widely known in industrial, fraternal and social circles. He was born February 20, 1879, in Miltonvale, Kansas, where his boyhood days were spent. 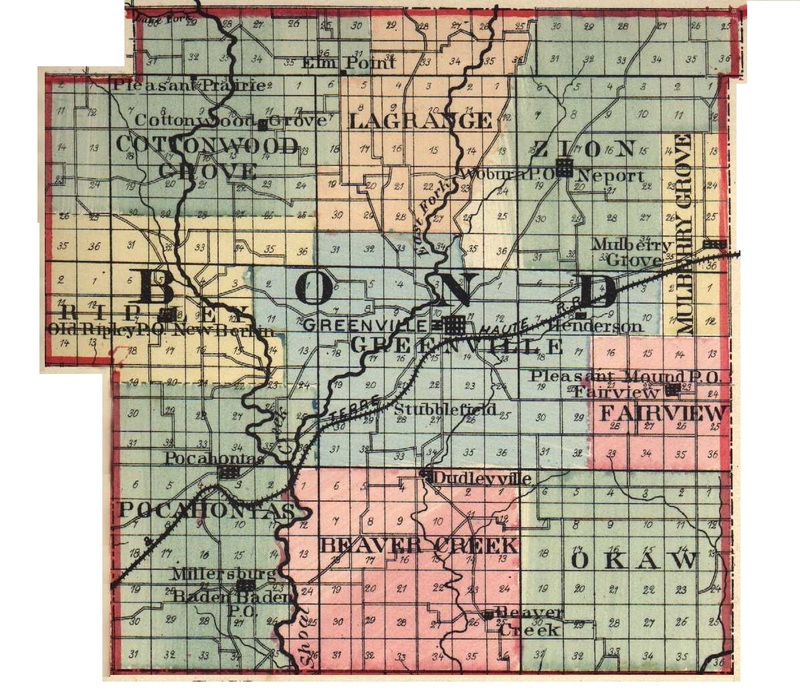 His father, William H. Johnston, was born in Bond county, Illinois, in 1843, of pioneer stock, and grew to man's estate on his father's farm. At the outbreak of the Civil war he enlisted in the Union army for a period of ninety days, and was commissioned second lieutenant of his company. Locating in Cloud county, Kansas, after the war, he was busily engaged in farming, stock raising and as a general merchant until his death, in 1888, when but forty-five years of age. He was a man of great intelligence and excellent business capacity, and took much interest in the affairs of the community in which he resided. He was a Republican in politics; a member of the Grand Army of the Republic; and belonged to the Cumberland Presbyterian church, to which his widow, now a resident of Mulberry Grove, Illinois, belongs. He married, in 1866, Leonora Emeline Reeves, of Bond county, Illinois, and of the seven children born of their union five are now living, James F. being the youngest child. Living in Kansas until eleven years old, James F. Johnston obtained his first knowledge of books in the rural. schools of Miltonvale, and after returning to Illinois he continued his studies in the public schools of Bond county, later taking a course in the commercial department of Greenville College. Thus equipped, he began his active career as bookkeeper for the Smithboro Mine, holding the position until the following year, when the mine suspended operations. He subsequently clerked three years for the McLain and Cable Grocery Company, and was afterwards similarly employed in the clothing department of the store owned by Weise & Bradford. In 1905 Mr. Johnston was elected city clerk of Greenville, and in 1907 was re-elected to the same office. From 1906 until 1909 he carried on a substantial business as junior member of the firm of Mitchell & Johnston, real estate dealers, the partnership being dissolved when Mr. Johnston assumed the office of circuit clerk of Bond county, to which he was elected, by the Republican party, in the fall of 1908, and in which he has since served with credit to himself and to the honor of his constituents. Mr. Johnston is secretary and treasurer of the Cyclone Hose Company, also secretary and treasurer of the Old Settlers' Association of Bond county, and is actively interested in the real estate and insurance business, in addition to which he makes a specialty of loaning money. Mr. Johnston married, in 1900, Georgia N. Ferryman, a daughter of George and Alice Ferryman, her father being editor of the Greenville Item. Four children have been born of the union of Mr. and Mrs. Johnston, namely: William Carl, Floyd Ferryman, Margaret Elizabeth (who died in childhood), and Alice Leonora. Mr. Johnston is an active member of the Republican party, and both he and his wife are members of the Christian church. Fraternally Mr. Johnston is a member of Greenville Lodge, No. 245, Ancient Free and Accepted Order of Masons; of Clark Lodge, No. 3, Independent Order of Odd Fellows; and of Browning Lodge, Knights of Pythias. He is an enthusiastic lodge worker, and at different times has served as a delegate to the Grand Lodges of his Orders. Extracted 10 Nov 2018 by Norma Hass from 1912 History of Southern Illinois, by George W. Smith, volume 3, pages 1142-1143.